Mario Selman was born on December 21st, 1999. He is well known on various social media websites, but most active on YouNow and musical.ly. 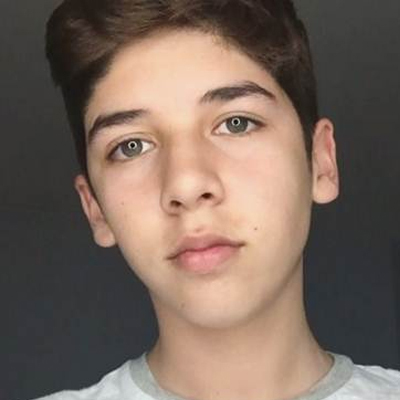 In addition, he joined the collaborative YouTube channel, Our Journey, with Brennen Taylor, Baby Ariel, Nick Bean, Weston Koury, Zach Clayton, and Loren Beech. He is a participant in the POMS (Part of My Story) Winter Tour 2016 along with Julian and Jovani Jara. POMS has partnered with SAVE – Suicide Awareness Voices of Education and will be donating a portion of the ticket proceeds to this cause. Mario has taken part in past POMS tours as well, including the 2015 tour, Spring Tour 2016, and Summer Tour 2016. In July 2014, he started with a YouTube channel but was not consistent with it. He does follow YouTube, however, and is particularly fond of Connor Franta. Mario was born in Chile but later moved to Boca Raton in South Florida. He attends an art school for singing but doesn’t sing on his broadcasts. Mario has two sisters, Nacha Morel and Catalina Selman. Both also have a social media presence. One of Mario’s closest friends is a fellow YouNower, Weston Koury.